After studying Horticulture, Alan Connock had spent 12 years gaining technical experience in beauty, fragrance and cosmetics. 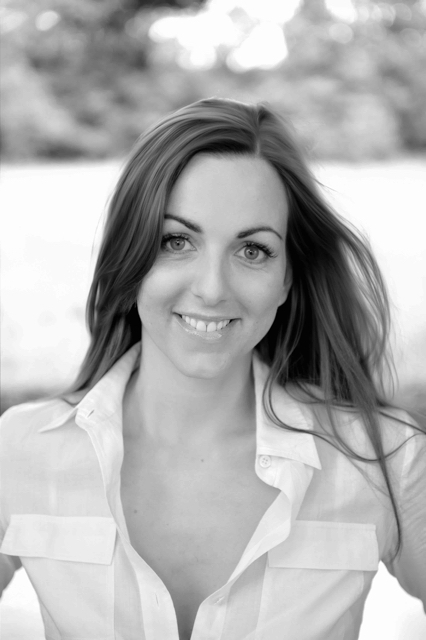 Amanda’s mother, Elizabeth, had an Honours degree in Biochemistry. And so A&E Connock was born in 1973, not long after Amanda’s parents were married, supplying hard-to-find ingredients to the perfumery and cosmetics industry. Four years later, Amanda herself was born – the second of five children – and the expanding family moved to the stunning 14th Century Hampshire mill house which is still the company’s HQ, today. 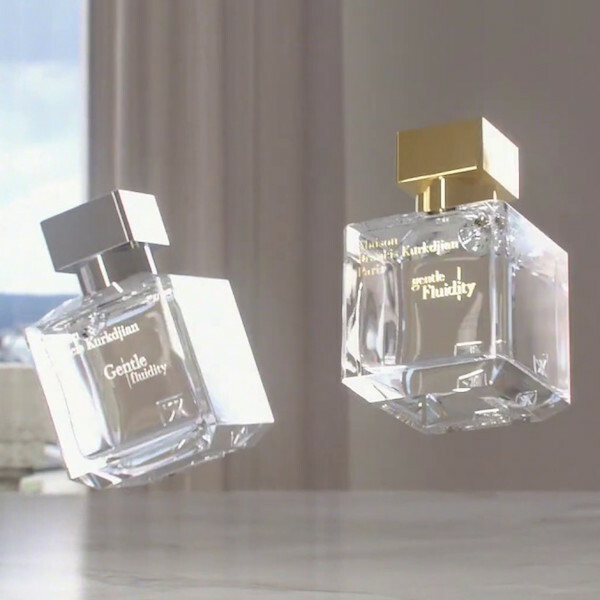 ‘As a young child,’ remembers Amanda fondly, ‘I would sit in Dad’s office while he worked and smell the different bottles of fragrance on his desk.’ She got her first experience of fragrance creation blending those discarded samples. Over 20 years ago, the Connock family began sourcing kukui oil from a small factory on the Hawaiian island of Oahu, which Amanda has visited many times. 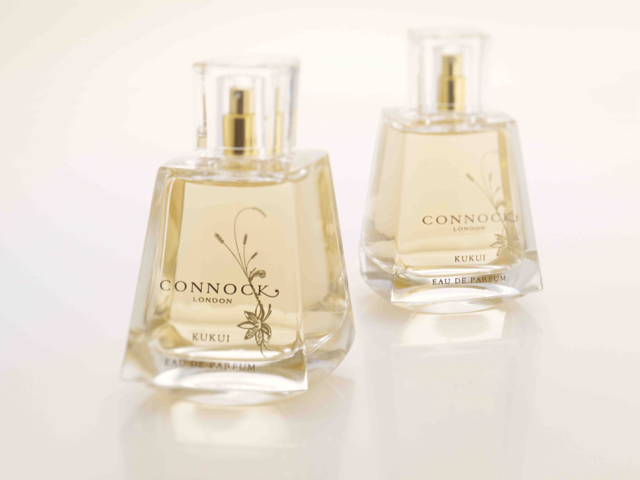 Kukui – plus shea butter and tamanu oil – give Connock London its sublime textures. 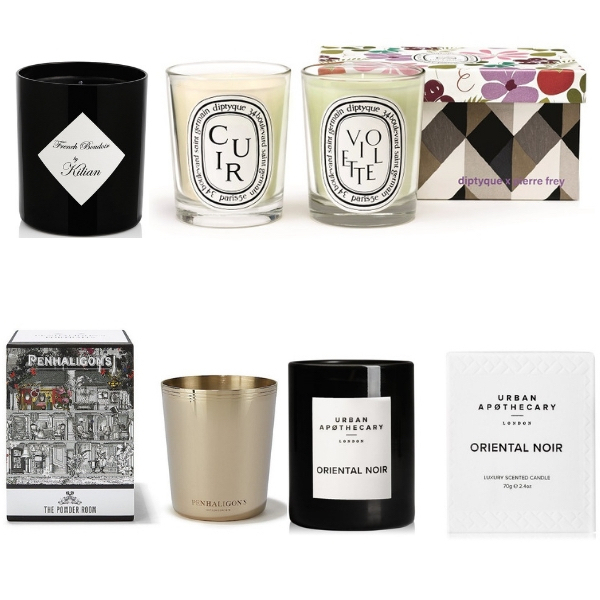 But when the collection launched, something unexpected happened: customers started e-mailing and writing to ask if they could experience its sublime, tropical white floral scent as a perfume – not just a body lotion, a bath treat or a hand nourisher. In fact, this is the first instance we can think of where a body collection has given birth to a fine fragrance – because that’s exactly what Amanda decided to create, after that rapturous customer feedback. 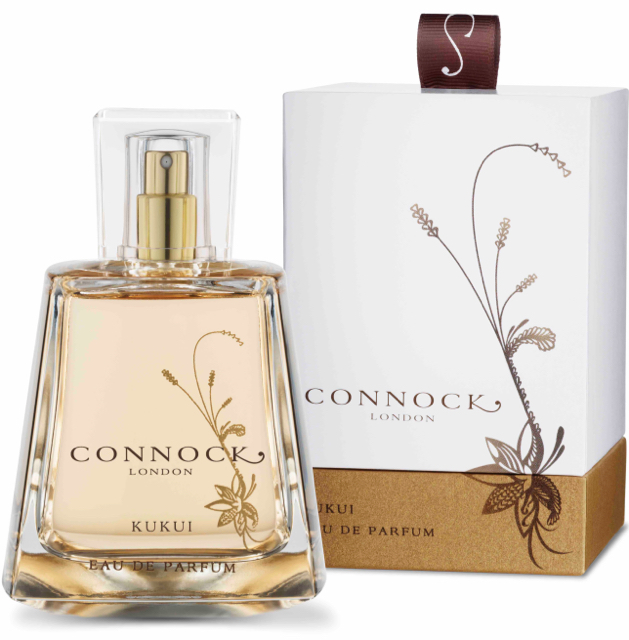 The Connock London perfume itself was blended to conjure up the soul – and the stunning beauty – of the Hawaiian landscapes. A deliciously wearable floriental, it captures armfuls of white flowers: jasmine and calla lily, together with Moroccan rose and Italian bergamot, for its bright freshness.